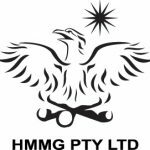 HMMG (formerly Harry M Miller Group) is one of the most recognised brands in the Australian media, arts and entertainment industry. We specialise in the management of high profile and emerging media, digital and producer talent. Download HMMG’s current CLIENT LIST. Literary submissions and screenplays are not being currently accepted in 2018. Day to day we engage with media organisations, marketing and communications agencies and brands on behalf of our clients and projects through our extended business network for HMMG talent, we pitch, negotiate and oversee the execution and delivery of all contracts for services across a vast range of industries. With such strong interests in talent, content and collaboration, HMMG thrives on packaging and developing content for agencies, brands and media organisations. We collaborate to leverage the rights owned by HMMG talent and producer clients. This includes negotiating rights for film and television and alongside producer clients to raise in-program investment, drive integrated sales activity and increasingly co-produce talent led programs. Harry M Miller started in the management business over 50 years ago and became a legendary agent, management as well as active theatrical producer. Under the ownership and direction of Lauren Miller we celebrate HMM’s legacy while constantly reinventing what we do, setting industry standards and setting the tone for the industry.